That’s right. In-store demos are the best support for a product launch. At NewPoint we talk to buyers often. We interview and survey them because we want to know what they’re looking for in new food products and suppliers. And, across the board, they agree that the best way to accelerate the sales of a new product after a product launch is by getting that product in people’s mouths. And once you think about it, sampling as your first step makes perfect sense. You have to consider the situation from a grocery shopper’s point-of-view. When you make your semi-regular grocery run, you usually have a moderately well-defined agenda, maybe a grocery list in your pocket or a number of items you’re repeating to yourself over and over so you won’t forget. One thing you’re not doing, however, is scouting for every little thing that’s changed since your last trip. Honestly, how many of us would notice one new hot sauce brand added to the multitude of already existing options? You could try to grab customers’ attention by getting your product more prominently placed, say, all by itself in an aisle end-cap display, or by declaring its arrival with some flashy point-of-purchase advertising. Though helpful for a product launch, neither of these tactics overcome the new product risk factor like in-store demos do. While novelty is inherently intriguing, customers are still hesitant to pony up the money for a product of unknown quality, especially when the price point may be higher than an already trusted brand. This is why in-store demos are so crucial, because they prove that your product stands up to or even bests the competition. And for customers, that’s a mystery solved. This doesn’t mean that in-store demos are foolproof, however. For instance, if you get picked up by a large retail chain, there are logistical issues. Basically, you can’t be doing in-store demos at every store all at once. Like a rock band, you may need to schedule your tour of upcoming appearances. Or some buyers recommend reaching out to store managers for help. Many supermarkets have professional staff who conduct demonstrations frequently and can do so for your product. Or you can turn to social media for help. 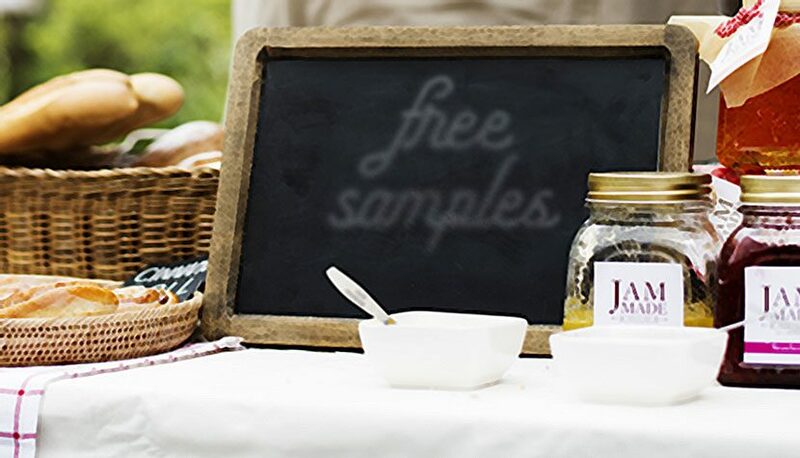 Through your social media networks you may be able to find an enthusiastic brand evangelist in the right geographic location willing to run sampling events part-time for you. A note of caution, however. Whomever you choose to run your demos, make sure to train them how to present your brand and products. “If done poorly,” M.S., another buyer notes, “demos can be more of a setback than a leap forward.” Key to effective demonstrations are presenters well-versed in the uniqueness of your products, the story of your brand and all the likely FAQs that might follow. Need help launching your product? Drop NewPoint a line.